Blackhawk products are known as some of the highest quality gear available for the serious shooter. This Belt Mountable Pistol triple magazine pouch, is constructed of 500 denier Ripstop Nylon with heavy duty stitching. 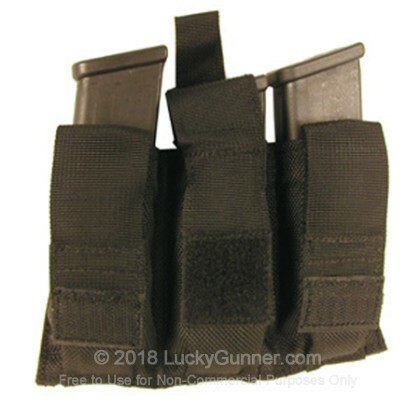 The pouch fits three pistol magazines. This magazine pouch is compatible with belts up to 2" wide.